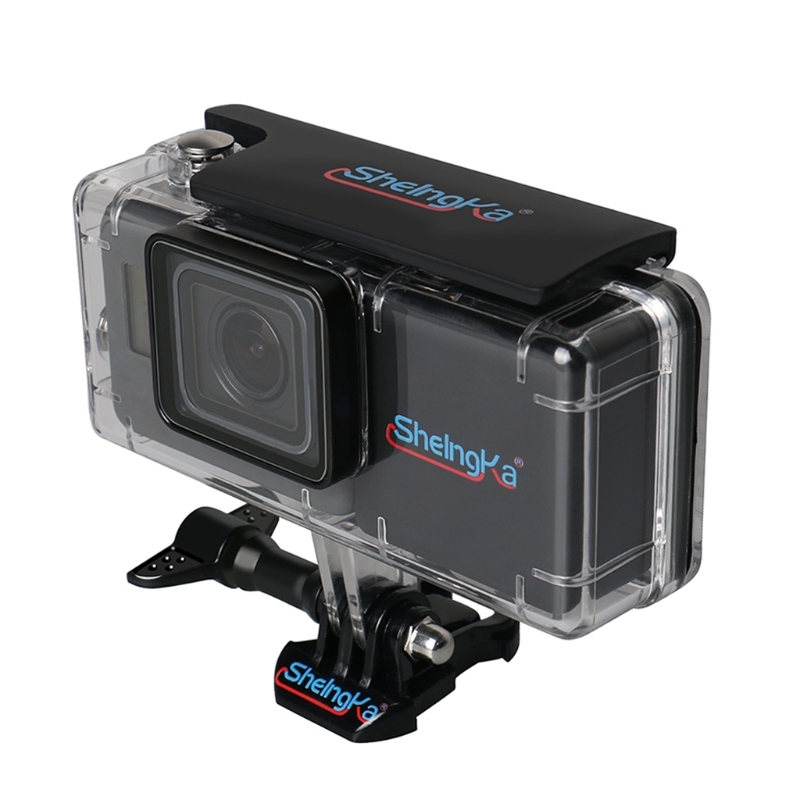 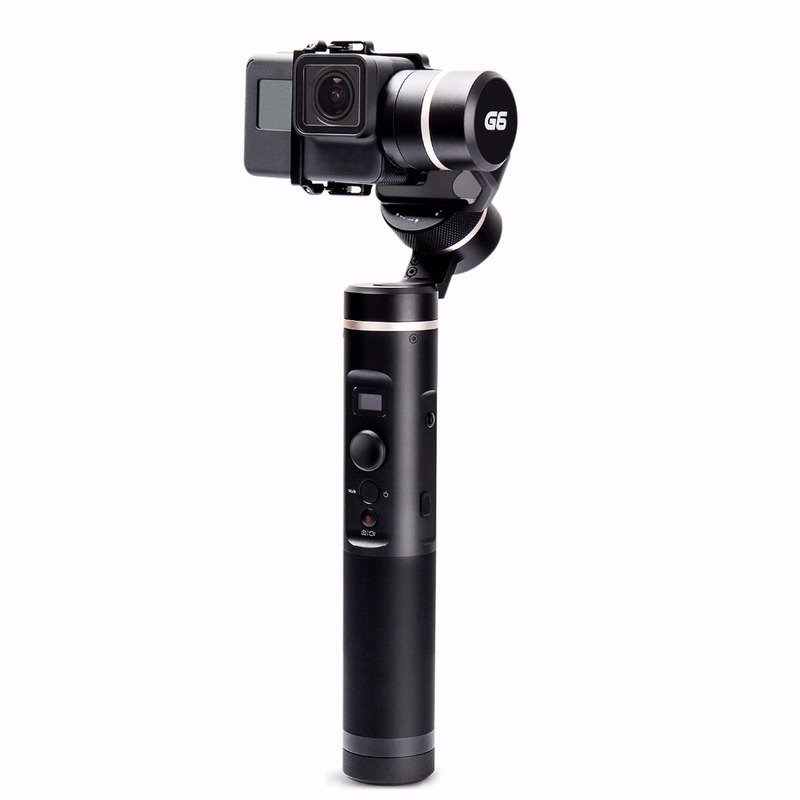 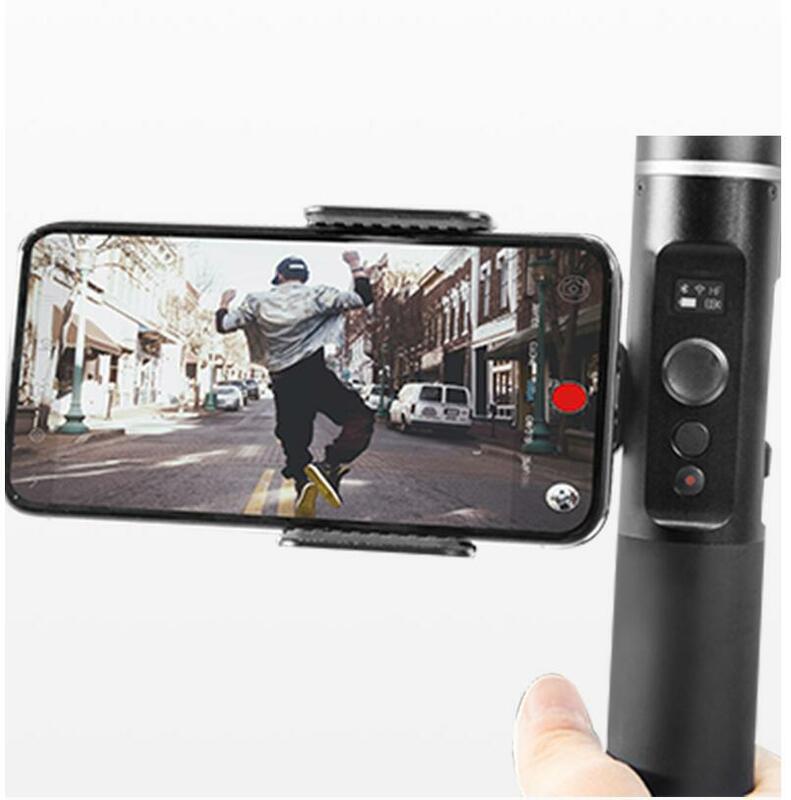 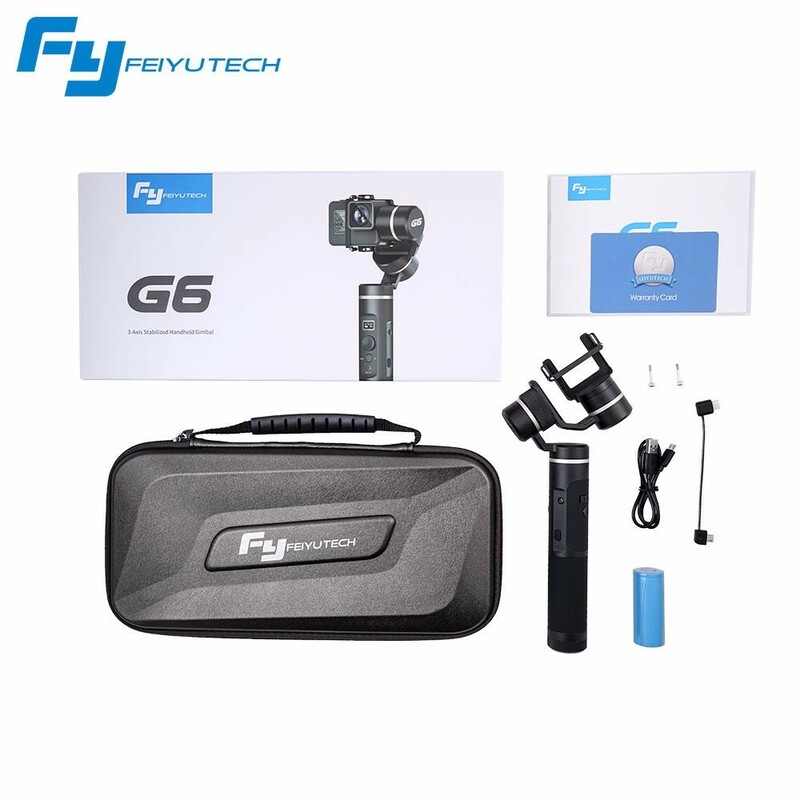 Compatible: G6 works with for Sony RX0 GoPro Hero 6 Hero 5 HERO4 HERO3+ HERO3 Yi 4K / AEE and other action cameras that have similar dimensions. 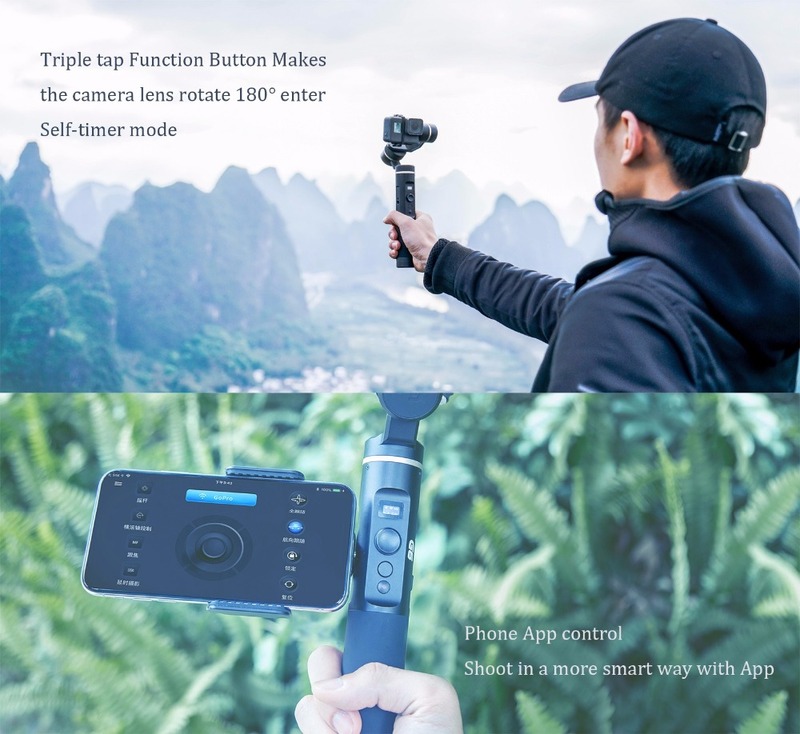 However, except for Gopro Hero 6 / 5 and for Sony RX0, the Feiyu On app may not be compatible with other action cameras. 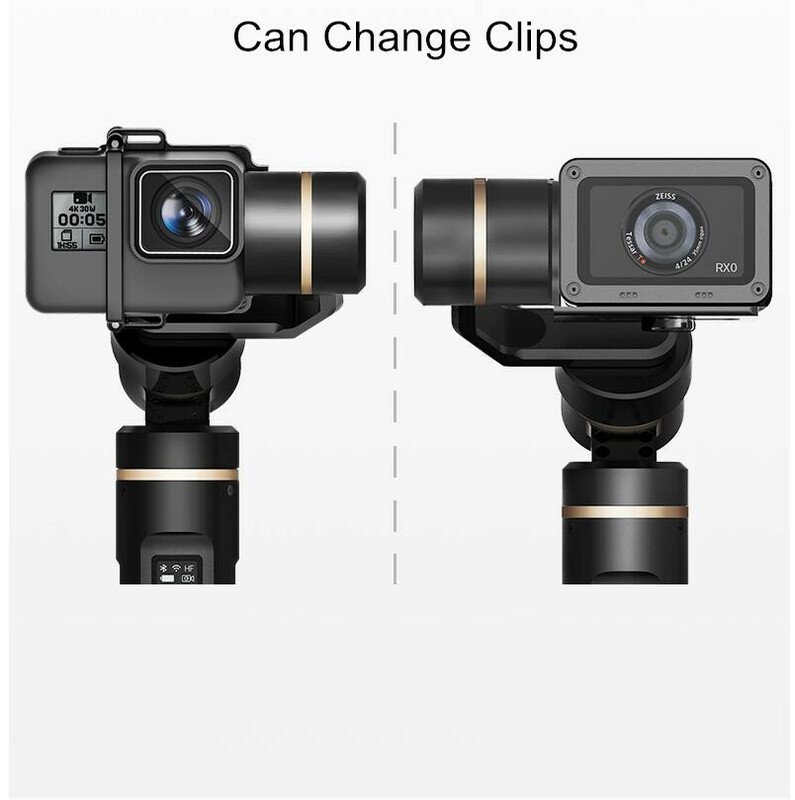 Note: When used with for Sony RX0, please purchase a mount plate separately. 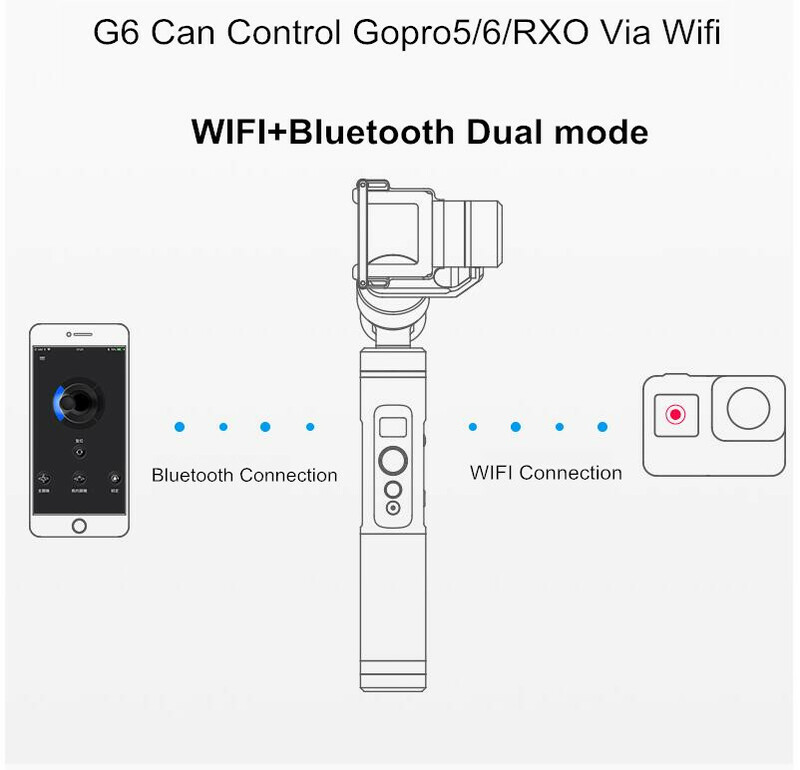 With connecting for Gopro Hero 6 / Hero 5 / RX0’s wifi, G6 can control the camera to take video / photo and set the working modes. 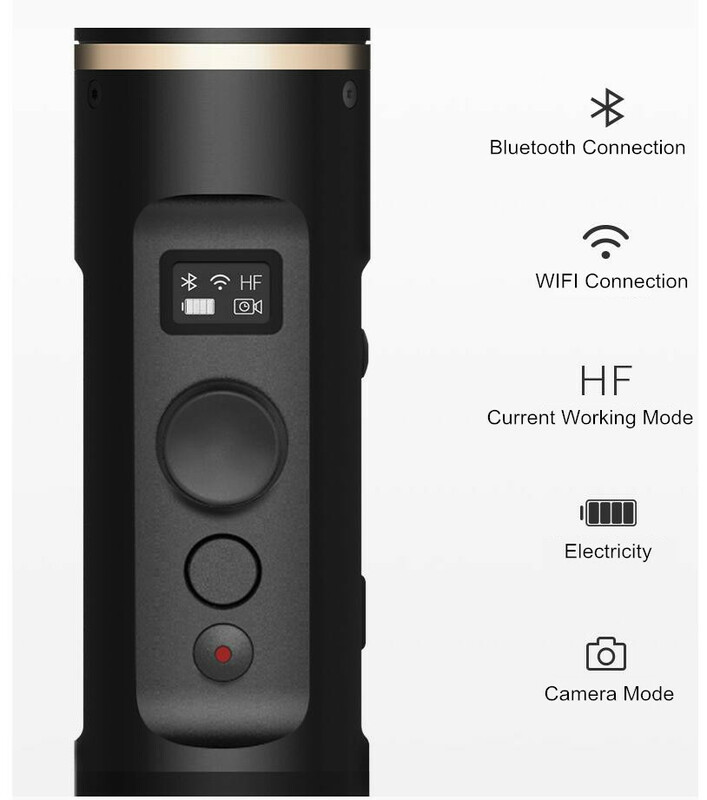 At the same time, all the specifications can be set in Feiyu On App once it connects via Bluetooth. 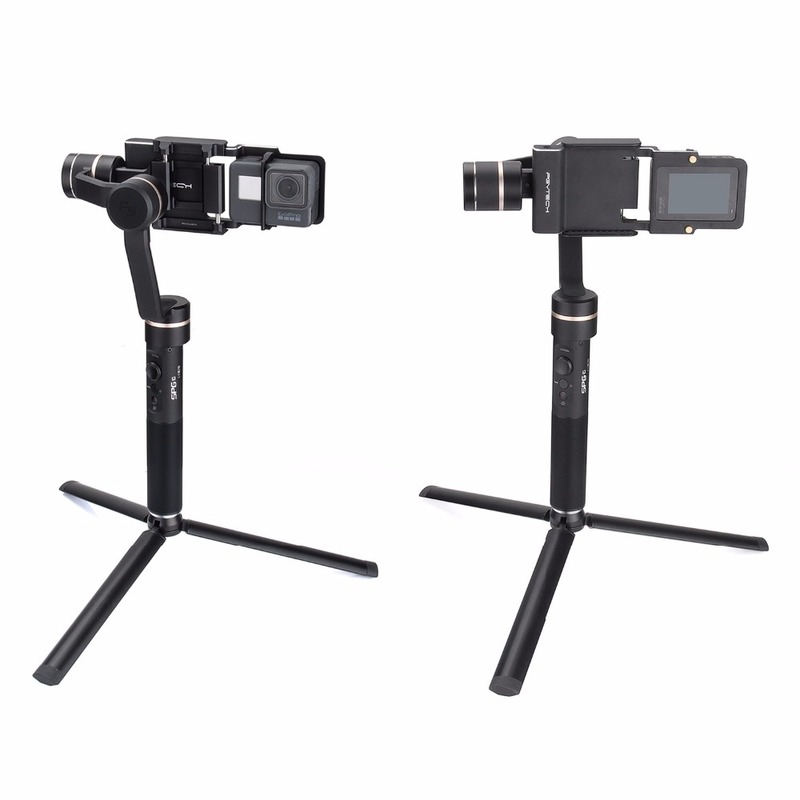 • Exchangeable Camera Camera Holder: The camera holder of G6 is detachable. 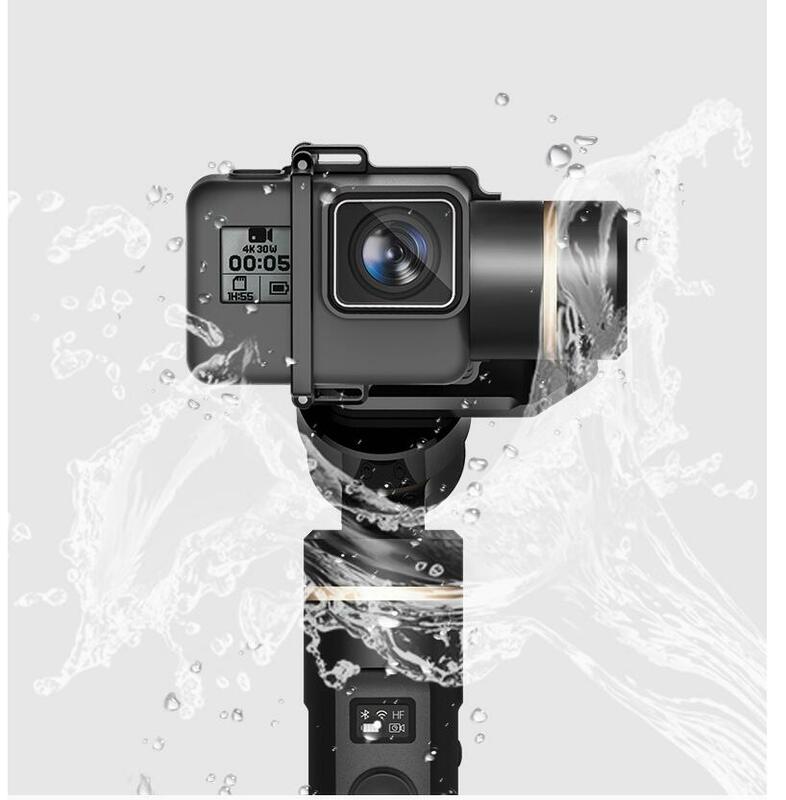 The replaceable holder fits for RX0 camera. 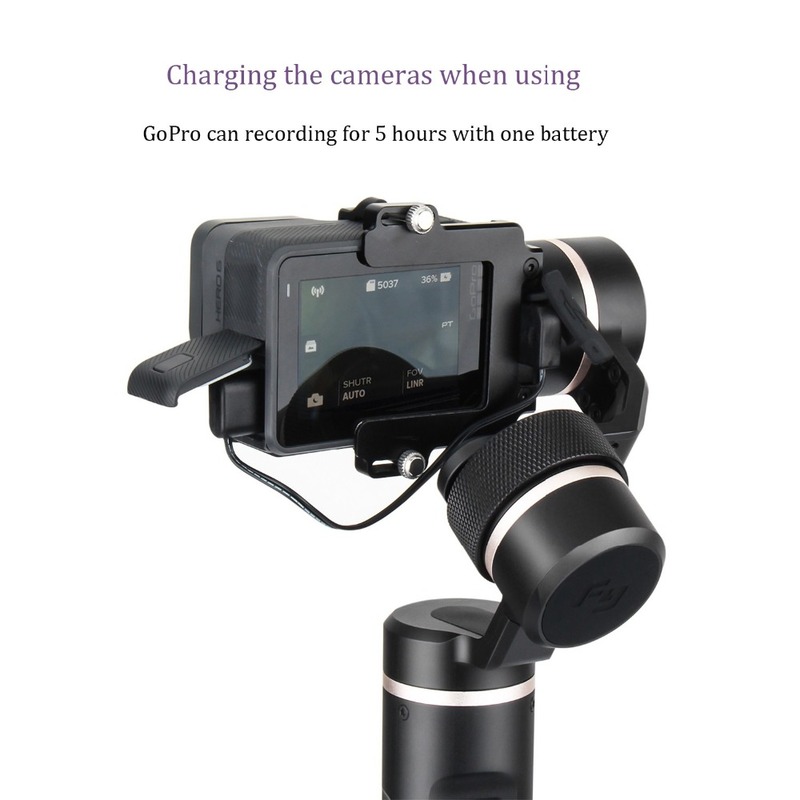 • Upgraded Algorithm: Low power consumption makes G6 perform more excellent. 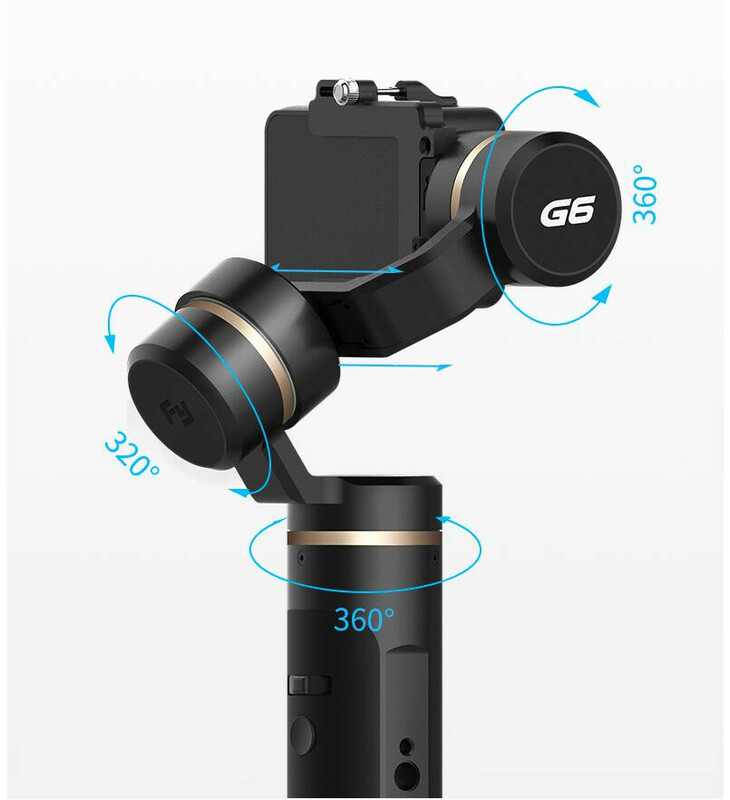 Its bigger motor torque makes G6 work more smoothly with higher anti-shake performance and reduce redundant power. 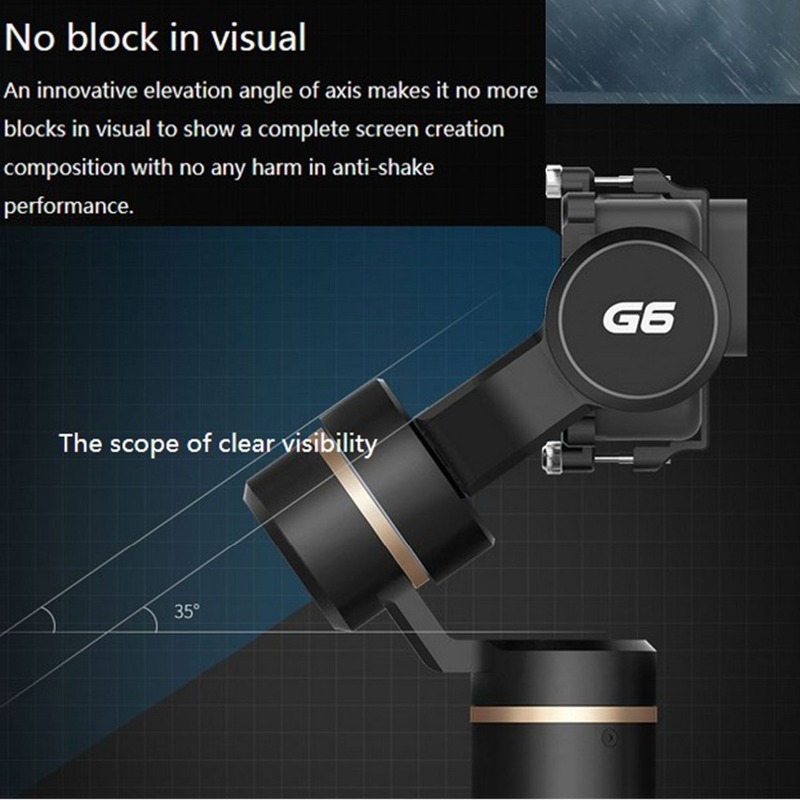 • No Block in Visual: An innovative elevation angle of axis makes it no more blocks in visual to show a complete screen creation composition. 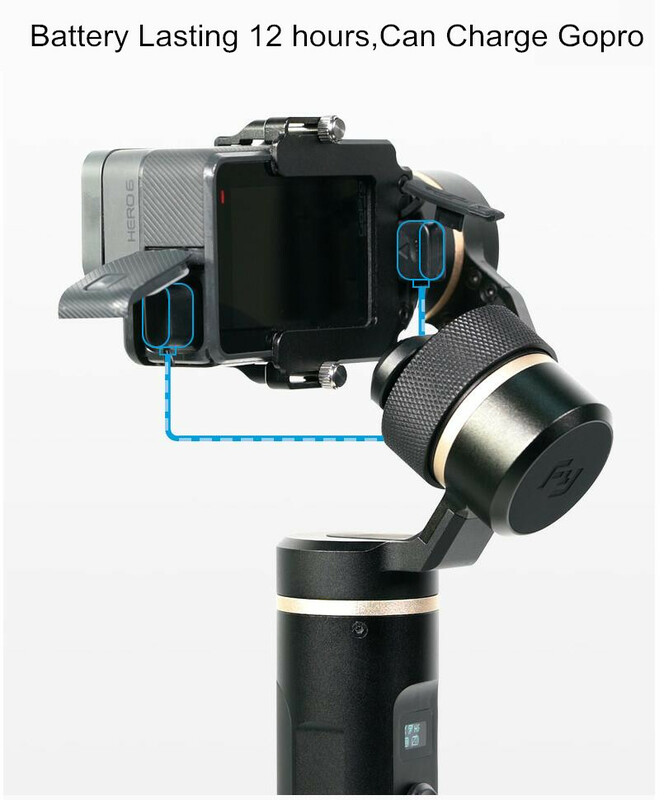 • 3 Slide Arm: It is easy to balance the gimbal with the combination of knob and sliding arm. 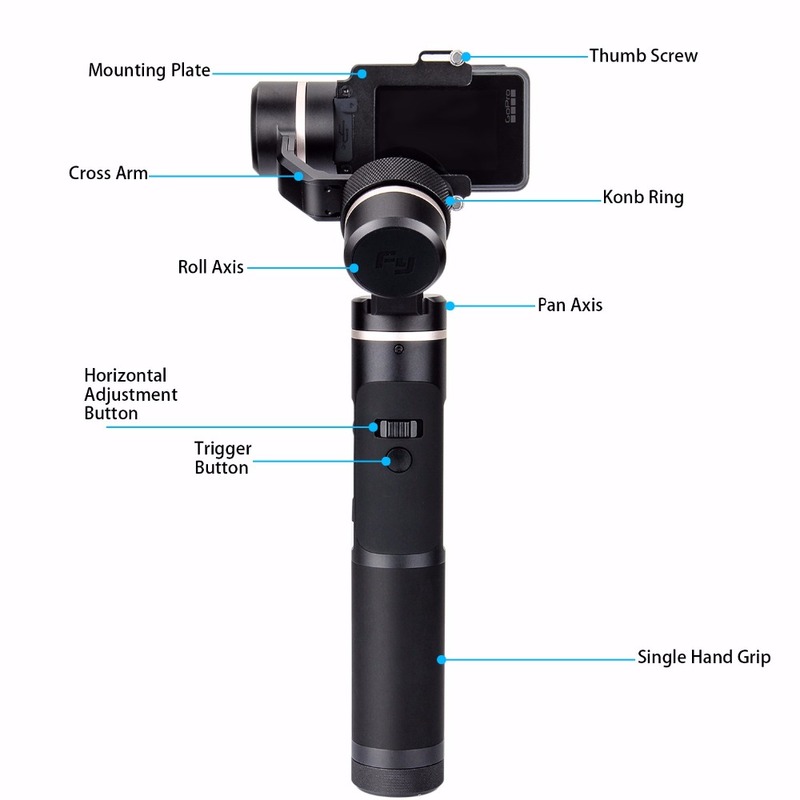 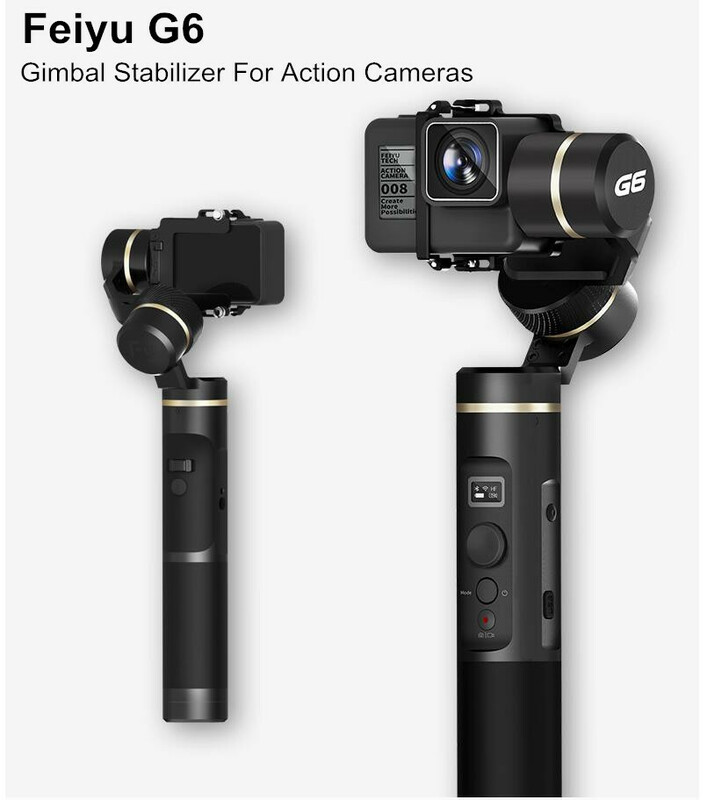 • Gimbal is splash-proof.​ Except when charging to for Gopro. 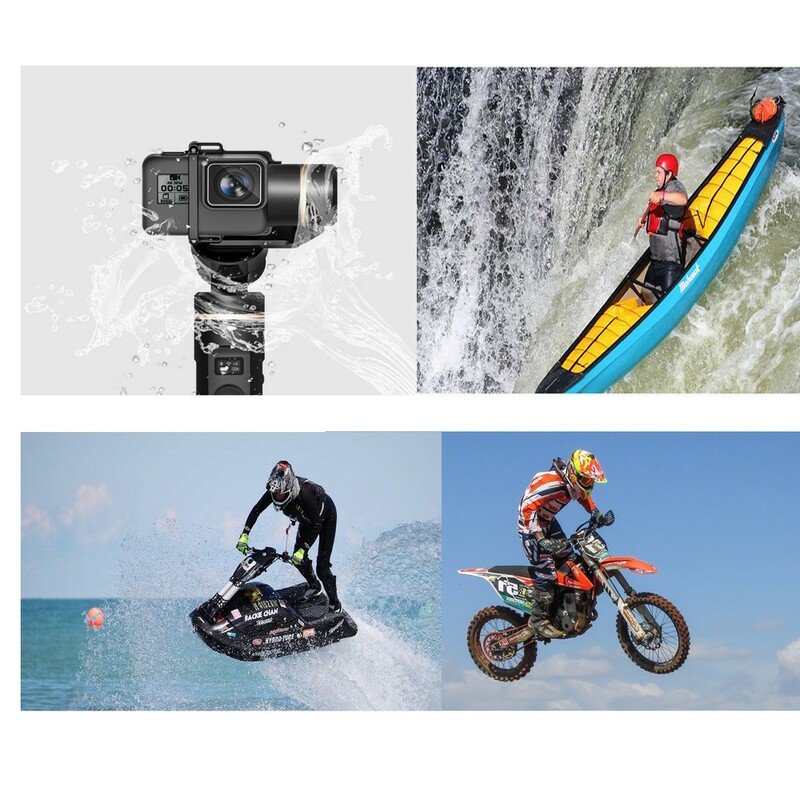 • Shoot in a smarter way with APP: Achieve remote control, automatic calibration firmware upgrade.